This page describes the School’s requirements for the Master of Science, Master of Engineering, and Ph.D. degrees. These requirements are in addition to those of the Graduate School. They may be modified or extended by the student's M.S., M.Eng., or Ph.D. committee. Questions concerning advanced degree requirements should be directed to the ECE Graduate Student Coordinator of the School of EECS. Every new graduate student will be assigned a research group and academic advisor based on the student's interests. This academic advisor will advise the student until the student has found a faculty member who has agreed to serve as the student's major professor. It is the student’s responsibility to meet with faculty members and find a major professor. New students are strongly encouraged to attend research group meetings, reading groups, and seminars to get to know the faculty and graduate students in the School. At least 45 credits of graduate level courses. 15 credits (minimum) of 5XX/6XX ECE courses (excluding 4XX/5XX courses and blanket-numbered courses). At most 6 credits of blanket-numbered courses. Blanket-numbered courses are: Research 501, Reading & Conference 505, Project 506. Major Advisor approval is required to register for Blanket Credits. Use the "Blanket Courses" form found here http://eecs.oregonstate.edu/current-students/graduate/forms to get approval. Three (3) of the following core courses: ECE 614, 520, 530, 550, 560, 570, 580, 590. At least a 3.00 GPA must be achieved over these three courses. Thesis Option: A written paper that represents a modest research contribution. The student must list 9-12 credits of ECE 503 on the M.S. program. Project Option: A project that demonstrates a good ECE knowledge and a written paper that describes the project. The student must list 6 credits of ECE 506 on the MS program. Complete Graduate School's Ethical Research Training requirement by attending one term of ECE 507 Section 002 SEM/EECS Ethics and Diversity (offered fall term only) or submitting proof to the EECS Graduate Program Coordinator (copy of completion certificate) of the online CITI training: http://research.oregonstate.edu/ori/responsible-conduct-research. This three credit course cannot be used on a student's graduate program except to be used to fulfill the Ethical Research Training requirement. Attendance at the weekly EECS Colloquium during each term of the first year of graduate studies. Students receive 1 credit for attending the colloquium by registering for ECE 507 Section 001. However, ECE 507 cannot be used on a student's graduate program. To satisfy this requirement, students attend colloquia, submit the attendance form, and receive 3 terms of pass (P). One term of the ECE 507 SEM/EECS Ethics and Diversity can replace one term of the ECE 507 EECS Colloquium attendance. A grade point average (GPA) of at least 3.00 for all courses taken as a graduate student and all courses on the graduate program. A final oral exam on the student’s thesis. A final oral exam may be scheduled only after all other requirements are satisfied. All members of the student's M.S. committee must approve the scheduling of the final oral exam. Notice of oral exams should be posted and distributed to all faculty and graduate students at least one week prior to the exam. Except in unusual circumstances, these exams will be held during the normal academic year (fall, winter, or spring quarters). For scheduling, use the Event Schedule Form. Time limit. All work toward a M.S. degree including transferred credits, course work, thesis, must be completed within seven years. At least 45 credits of graduate-level courses. At least 20 credits of 5XX/6XX ECE courses (excluding 4XX/5XX courses and blanket-numbered courses). *Please note the Graduate School requires that no more than 50% of credits are slash courses (the 5XX component of a 4XX/5XX course). At most 6 credits of blanket-numbered courses may be included in the program. Blanket-numbered courses are: Research 501, Reading & Conference 505, Project 506. Major Advisor approval is required to register for Blanket Credits. Use the "Blanket Courses" form found here http://eecs.oregonstate.edu/current-students/graduate/forms to get approval. Attendance at the weekly EECS Colloquium during one term of the first year of graduate studies. Students receive 1 credit for attending the Colloquium by registering for ECE 507 Section 001. However, ECE 507 cannot be used on a student's graduate program. To satisfy this requirement, students attend colloquia, submit the attendance form, and receive one term of pass (P). One term of the ECE 507 SEM/EECS Ethics and Diversity can replace one term of the ECE 507 EECS Colloquium attendance. File a program of study by the end of the second term of study, or before 18 graduate credit hours are completed. Each M.Eng. student obtains a Master's Program of Study form from the Graduate School's website, fills it out, has it approved by his/her major professor and two other committee members, and turns in the form to the EECS Graduate Student Coordinator for the Associate School Head's approval. The M.Eng. committee consists of 3 designated graduate faculty members from the School of EECS. This program is a tentative plan and can be updated or changed. A final oral exam. A final oral exam may be scheduled only after all other requirements are satisfied. All members of the M.Eng. committee must approve the scheduling of the final oral exam. Except in unusual circumstances, these exams will be held during the normal academic year (fall, winter, or spring quarters). For scheduling, use the Event Schedule Form. At least 108 credits (this includes all graduate work after the B.S.). Typically, an ECE Ph.D. program has a total of about 125 credits and about 65 hours of coursework. 36-60 credits of thesis. Thesis credits are ECE 603. At most, 15 blanket-numbered credits. Blanket-numbered credits are: Research 501/601, Reading & Conference 505/605, and Project 506/606. (These are 50X/60X courses other than thesis 503/603). Major Advisor approval is required to register for Blanket Credits. Use the "Blanket Courses" form found here http://eecs.oregonstate.edu/current-students/graduate/forms to get approval. Three (3) of the following ‘core’ courses must be taken: ECE 614, 520, 530, 550, 560, 570, 580, 590. At least a 3.00 GPA must be achieved over these three courses. At least 36 credits of actual coursework (excluding blanket-numbered credits and thesis). Attendance at the weekly EECS Colloquium during each term of the first year of graduate studies or the first 3 terms of study. Students receive 1 credit for attending the Colloquium by registering for ECE 507 Section 001. However, ECE 507 cannot be used on a student's graduate program. To satisfy this requirement, students attend colloquia, submit the attendance form, and receive 3 terms of pass (P). One term of the ECE 507 SEM/EECS Ethics and Diversity can replace one term of the ECE 507 EECS Colloquium attendance. Successful completion of the Ph.D. qualifier which tests the student's course background and the ability to read, understand, analyze and synthesize materials from research papers. The Ph.D. Program of Study successfully approved by the Graduate School after meeting with the student's Ph.D. committee members (including GCR) at the Ph.D. Program Meeting. Successful completion of the preliminary examination which tests the student's readiness to start research on a particular topic and his or her breadth of knowledge in Electrical and Computer Engineering. Normally both the preliminary exam and the final oral exam are open to faculty and students. Notice of such exams shall be posted and distributed to all faculty and graduate students at least one-week prior to the exam. Except in unusual circumstances these exams will be held during the normal academic year (fall, winter and spring quarters). For scheduling use the Event Schedule form. For a traditional September start, the student must take this exam before November 15th of the second year if he/she joins the Ph.D. program with a M.S. degree, and before November 15th of the third year if he/she joins the Ph.D. program with a B.S. degree (adjusted accordingly for students not starting in September). The committee must consist of at least four (4) faculty members: the major professor, at least two other members of the School of EECS, and a faculty member from the student’s minor department and/or other related department. Comprehensive review of existing literature in an area. The student’s current or prior original research. Or some combination as stipulated by the advisor. 2. Fail. If 1st attempt, allow retake within 6 months. 3. Fail. Student should drop out from the Ph.D. program. Please schedule your PhD Qualifying Exam with EECS. You do NOT need to schedule your exam with the Graduate School. Here is the link to scheduling forms: http://eecs.oregonstate.edu/current-students/graduate/forms. The top half of the Ph.D. Qualifying Exam Evaluation Form should be completed by the student and provided for each committee member, plus one (1) summary form, prior to the qualifying exam. The ECE - Ph.D. Qualifying Exam Evaluation Form can be found here: http://eecs.oregonstate.edu/current-students/graduate/forms. Please return the completed, signed form to the EECS Grad Coordinator after the exam. The doctoral program leading to a Ph.D. degree in Electrical and Computer Engineering is administered primarily by the student’s Ph.D. committee. It is the student’s responsibility to organize his or her doctoral committee with the advice of his or her major professor. The committee must consist of at least five (5) faculty members, including the major professor, at least two other members of the School of EECS, faculty member from the student’s minor department and/or other related department, and a Graduate Council Representative (GCR). The GCR will be chosen from a list supplied to the student by the Graduate School. The Ph.D. committee, in consultation with the student, is responsible for preparing the student’s doctoral program, administering the required examinations, and reporting the student’s progress to the School. This committee has considerable freedom in defining a doctoral program, being subject only to the rules of the Graduate School as described in General Regulations - Doctor of Philosophy in the Graduate Bulletin and the ECE Ph.D. Degree Requirements listed in this Advising Guide. The Doctoral Program form should be filed by the end of one calendar year if a student joins the Ph.D. Program with a M.S. degree and by the end of the fifth quarter of enrollment if the student joins the program with a B.S. degree. Please schedule your Ph.D. Program meeting with EECS at least two weeks before your event. Here is the link to the scheduling forms: http://eecs.oregonstate.edu/current-students/graduate/forms. This exam is generally taken around the beginning of the third year with timing to allow the committee to have input on the proposed research. The purpose of the preliminary exam is to guarantee that the student has obtained sufficient breadth and depth of knowledge to carry out the proposed research. This includes a thorough understanding of course work from the core areas on the student’s program and of important articles in the dissertation area. The preliminary exam consists of: (i) preparation of a thesis proposal (optional), (ii) oral presentation of thesis proposal, (iii) oral examination. Note that the preparation of a thesis proposal is optional and is at the discretion of the student’s Ph.D. committee. On the day of the oral exam, the student begins with a 30-minute presentation of the proposed research. This is followed by an oral examination of the student. Questions will cover the areas of the student's program. For more information on the steps to schedule your Ph.D. Oral Preliminary Exam (please schedule your event at least two weeks in advance) follow this link: http://eecs.oregonstate.edu/current-students/graduate/student-resources. For more information on the steps to schedule your Ph.D. 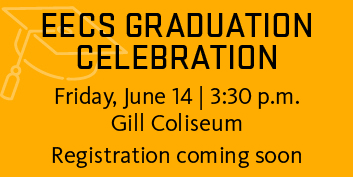 Final Oral Exam (please schedule your event at least two weeks in advance) follow this link and scroll down the page: http://eecs.oregonstate.edu/current-students/graduate/student-resources.